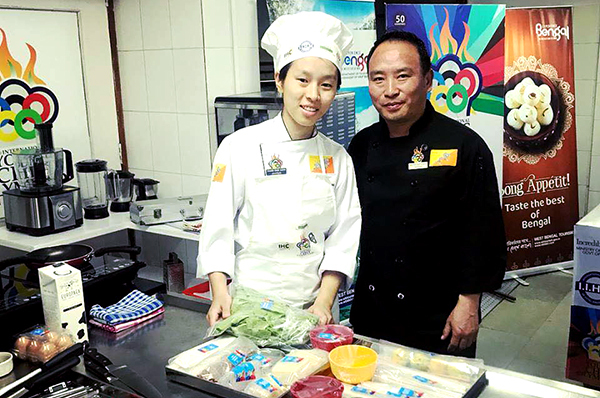 Dawa Dema, a trainee at the Royal Institute for Tourism and Hospitality (RITH) in Thimphu is representing Bhutan at the ongoing 4th Young Chef Olympiad in India. Young Chef Olympiad is world’s biggest cooking contest for culinary students organised by the International Institute for Hotel Management, India. Dawa has completed her first round of the competition in Bangalore. Team Bhutan is placed in group D with last year’s runners up team Malaysia. Young student chefs from over 50 countries across the world are taking part in this year’s competition. The competition was founded three years ago with an aim to create a platform for young and aspiring chefs.